Guess what? The Sustainable Buzz has zipped over to Saturday night! That’s right. This year we move the best party in November over to the best day of the week. 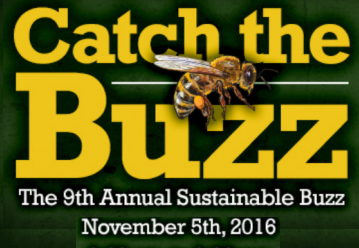 Get your tickets now, before they sell out, for the ninth annual Sustainable Buzz. Your ticket gets you all the locally brewed, cooked, squeezed and otherwise crafted food, beer and wine with other special surprises.